Compared to the cinematic trailer that has been available for a while, the first Shadow of the Tomb Raider gameplay trailer comes with more action and landscapes, as well as a lot of water. The game is being developed by Eidos Montreal and will hit Windows PCs, Xbox One and PlayStation 4 consoles on September 14. Shadow of the Tomb Raider is one of the many big games scheduled to hit the market by the end of this year, and it obviously comes with great expectations. Those not happy with the cinematic debut trailer that arrived earlier this year will probably enjoy the first Shadow of the Tomb Raider gameplay trailer that has just been posted online. 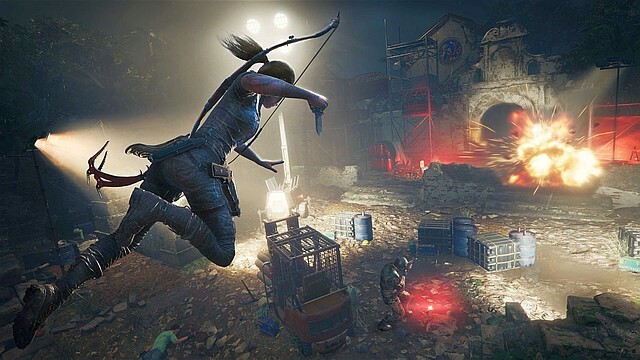 According to the description of the video mentioned above, this trailer "showcases the high-octane action, inner conflict, and challenges that will lead to Lara Croft’s defining moment." Although the game looks very good already, it still needs a few more months to reach the market. The Tomb Raider gaming franchise was created by Core Design, a British gaming company that launched the first title in the series in late October 1996. Back then, the PlayStation and Sega Saturn consoles were supported alongside Windows PCs. Over the next few years, more releases joined the Tomb Raider family of games, including a remake of the original, which arrived in 2007 as Tomb Raider: Anniversary. If the existing schedule does not suffer any changes, Shadow of the Tomb Raider will hit Xbox One, PlayStation 4, and Windows PCs on September 14. Those in a hurry can already place their pre-orders on this page. Now, feel free to check the trailer below and let us think what do you think about it in the comments.